As you know, we are now officially CD-Free for Music Together and Rhythm Kids! This means that you have to use the Hello Everybody App, available for download for both iOS and Android. 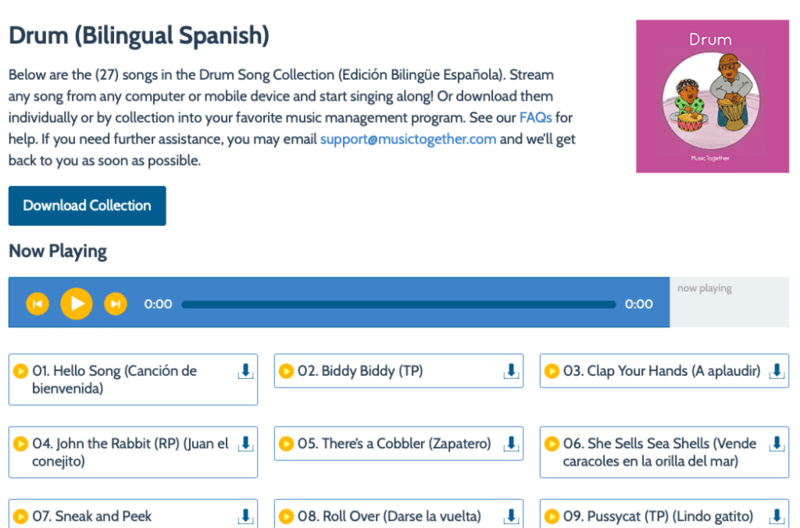 Open the front cover of your family music book (or bilingual Spanish Translation book) to find your unique access code for the music and collection assets. Watch this video to get a brief overview of how to access your music. Remember – if you are a Music Together (not Rhythm Kids) family you also received the bilingual English-Spanish music translation booklet with your regular book. We are strongly recommending this as another tool for developing your Child’s ear. Use the download code from this booklet to access this bilingual music and use it as you primary listening. An area to watch out for is the setting at the top right-hand corner of your screen when listening to music. There is a switch to have the music stream, or download. We recommend that when you put in your download code, you go right to the new music and set this to download, so you don’t eat up you data streaming the music. If you are like your teachers, you probably want to have this music in iTunes, or your Android music player, rather than the app. 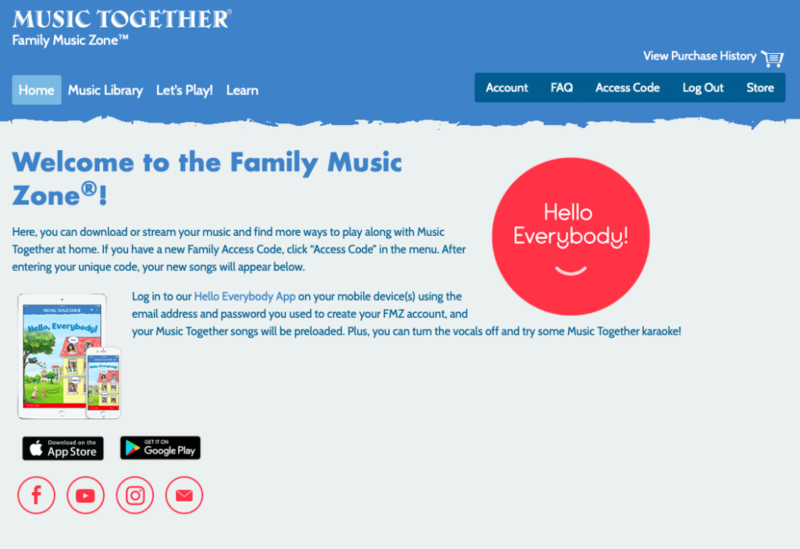 To port the music over, you’ll need to download the music from the Family Music Zone at musictogether.com. Click ‘Login’ at the top of the screen, and be sure to use the same email you use(d) in the app. Take note of the Access Code link in the menu at the top right of the screen. If you can’t see the current collection’s music haven’t entered the code yet. Go back up to the top of the page and use the Access Code button to enter your code and unlock your music and resources. To download the whole collection of music to your computer, use the dark blue Download Collection button instead of going song by song. Call us! We’ll help get you sorted out. If your code doesn’t seem to be working, or logging in is a problem, we also recommend you reach out to [email protected] – they are very speedy and helpful with these things.